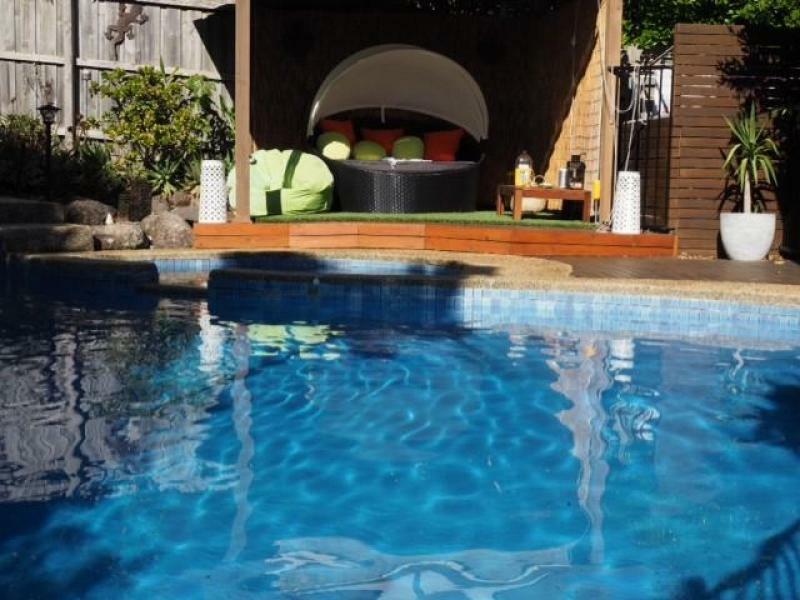 Located in a beautiful leafy eastern suburb of Melbourne, this gem is an oasis in a metropolitan city. With beautiful outdoor area and swimming pool, enjoy a resort life style at home. 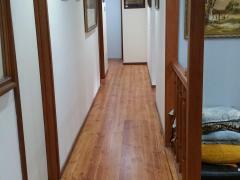 The house is tastefully renovated with modern decor including new kitchen and bathroom, and furniture. We have two rooms available to rent out. Downstairs room has separate side entrance and direct access to the garden and patio. Enjoy your privacy with separate living area and outdoor garden. This room is fully furniture with queen bed, large wardrobe, bedside table, lamp and study desk. The separate living area has couch, coffee table and floor lamp. You can enjoy the peace and quite all by yourself! 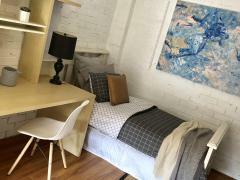 One upstairs room available with queen bed, study desk, chair, wardrobe and bedside table and lamp. Minutes walking distance from transport and shopping centre, with access to Coles, Aldi, Post office, bank, MacDonald, cafe and restaurants. Near by large shopping centres includes Forest Hills, Glen Waverley, Knox just minutes away by driving . 75 tram can take you to Deakin University in 14 minutes tram ride and to Monash Univerysity Clayton Campus by 742 bus in 30 mins bus ride. About 4 km to Nunawading and Glen Waverley train stations. Price quoted is including accommodation, utility, internet and self-served breakfast. We are looking for two students or travellers (two rooms available) who has not criminal offence, no drugs, no smoking, no bad habits, and are genuine, kind, good manner and clean. He or she needs to be good with kids and pets as we have young kids and small indoor family dog. Both of us have work with children and police check. Two weeks bond and two weeks rent is required in advance.